“The West is and always should be about silence and space. Lots of it. About endless landscapes that stretch to infinity, and unbroken skies that defy description, and moments of such incredible beauty and clarity that you think you’ll burst if you don’t share this extraordinary moment with someone right now. And what makes the West so special is that you can’t. The West has always been about remoteness and unimagined quiet and sometimes it made us crazy trying to decide if we loved it for its solitude or loathed it for its isolation. But it was the West’s unforgiving nature that also made us feel stronger. We chose to live here with all its emptiness and hardship and unforgiving space. Being able to survive the West, on its terms, gave us a leg up on the world. Jim Stiles is one of my personal heroes. He is a tragic hero. Tragic in that he is often misunderstood. A hero because he fights for things that matter. He clings tenaciously to ideas of the West that are slipping away. He is, as well, simply human. While I don’t agree with everything he says, I agree with a lot of it, and I respect the man. 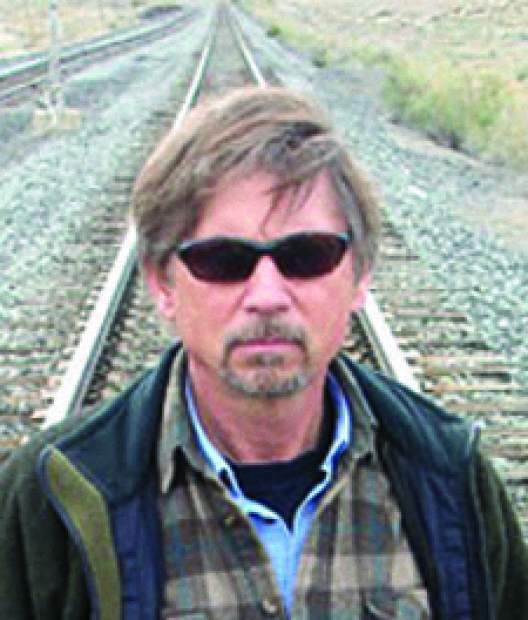 Jim also publishes the Canyon Country Zephyr – Planet Earth Edition. It ran for 20 years as a print publication and is now exclusively online. He is also the author of “Brave New West — Morphing Moab at the Speed of Greed.” Both can be found at http://www.canyoncountryzephyr.com. Posted on February 21, 2014, in Profiles of the Southwest and tagged Jim Stiles, solitude, the west. Bookmark the permalink. Leave a comment.